And the repercussions should be severe. What Cameron Bancroft appeared to do while looking to condition the ball on day three at Newlands is damning. Equally so is the way there appeared to be an orchestrated cover up after the offending vision was seen in the player’s viewing area. The vision as it played out on the television coverage alluded to the 12th man, Peter Handscomb being instructed by walkie-talkie to go onto the field and speak to Bancroft, who shortly after took a suspicious item from his pocket and placed it down the front of his creams. If that is indeed the case, it points to a premeditated act and not merely the actions of one man. 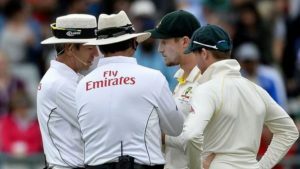 The Australian cricket team has always pushed the envelope with regard to its on field verbal barbs – and at times have been proved to go beyond what is viewed as being acceptable banter – but, equally, they have always held themselves up as still playing the game within its intended spirit. That premise has long been questioned with respect to the verbal attacks on opponents. The actions of Bancroft goes well beyond any verbal sparring. It smacks of outright cheating and the prima facie evidence is damning. It will cast a black cloud over Australian cricket and it deserves to be the case. How the ICC deals with this episode will be fascinating. Ball tampering, under the code of behaviour, is deemed to be a level two offence which carries with it four demerit points – which if accumulated in a 24-month period equates to a one Test suspension – and up to a 100% match fee fine. One can imagine there will be a significant outcry if that is the resultant penalty. What is more challenging for the ICC is how it will react to what seems to be a plan that was sanctioned by team management. What action should be taken against the Australian captain and coach? The way things played out it would appear that there needs to be some penalty that goes beyond Bancroft alone. It was interesting to see skipper, Steve Smith leave the ground for a period of time in the final session. It may well have been a ploy to try and get a uniform response in place prior to facing the media after the day’s play. This event will certainly have an impact on the way the fans view this Australian team. It is no secret that in places like the sub-continent the Australian team is respected for its ability but vilified for its behaviour. This series has further enhanced the open hostility that has often been present in Australia-South Africa series. But, for Cricket Australia, the bigger issue is how their own fans will react to this episode. Many have become disenfranchised with the side’s on field verbal barrages. Many voiced that opinion on social media after the opening Test of the series. The action involving Bancroft will likely have a far bigger affect than any verbal slinging match has as far as fan perception goes. The question that many will be asking is just how long such practices having been going on for. Fans rejoiced at the devastating reverse swing bowling of Mitchell Starc that catapulted Australia to a one-nil lead after the Durban Test. Now, many will be questioning if all was as it appeared. Already, social media has included many posts stating that “all teams do it”. Sorry, but that is simply speculation. Like all things in life, people can only be penalised when there is solid evidence. With respect to what happened in the middle session at Cape Town, the evidence is there for all to see. And the Australian cricket team will have to face the consequences as a result. And many will not be disappointed at that prospect. 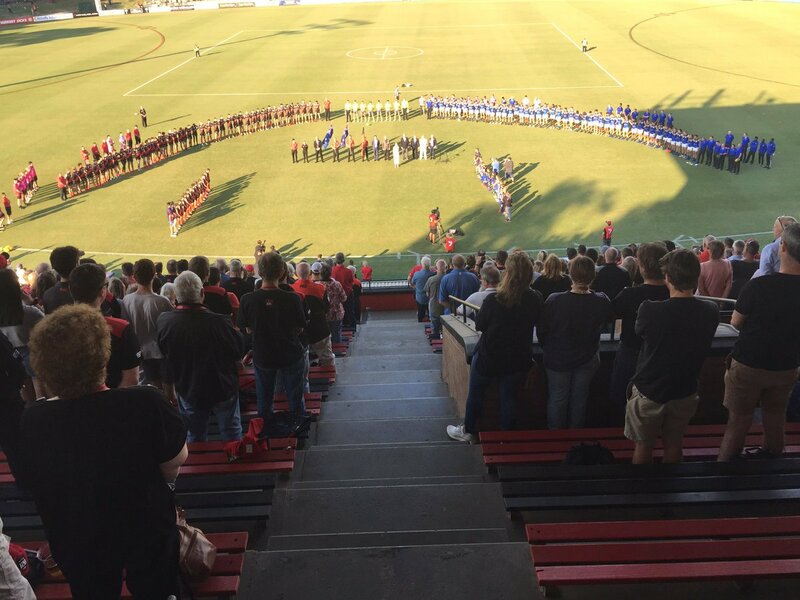 "Dream as if you will live forever; live as if you will die today"
Buddy hell – are the Swans fair dinkum?